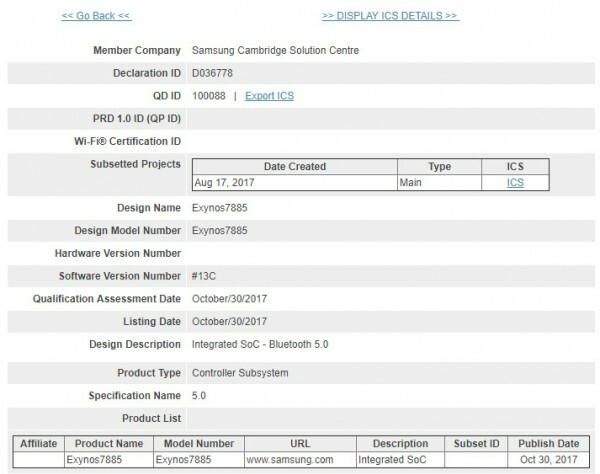 The Exynos 7885 chipset that is expected to power the Samsung Galaxy A5 (2018) and the Samsung Galaxy A7 (2018) got certified by the Bluetooth SIG. The listing reveals that the new SoC will support Bluetooth 5.0, which brings better data transfer and ability to connect multiple devices to a smartphone. 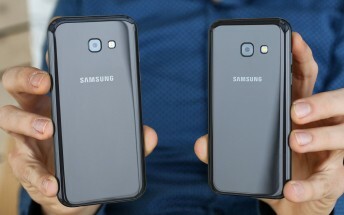 According to an earlier report, the Exynos 7885 will be a 14nm chip with two Cortex-A73 cores and six Cortex-A53 units. The clock speed should be 2.1 GHz and the GPU is supposed to be Mali-G71. The Galaxy A5 (2018) was also seen in a benchmark with Snapdragon 660, but this setup might be on track for the Chinese market. The phone might have 4 GB or 6 GB RAM and most likely will launch with Android Nougat 7.1 out of the box.